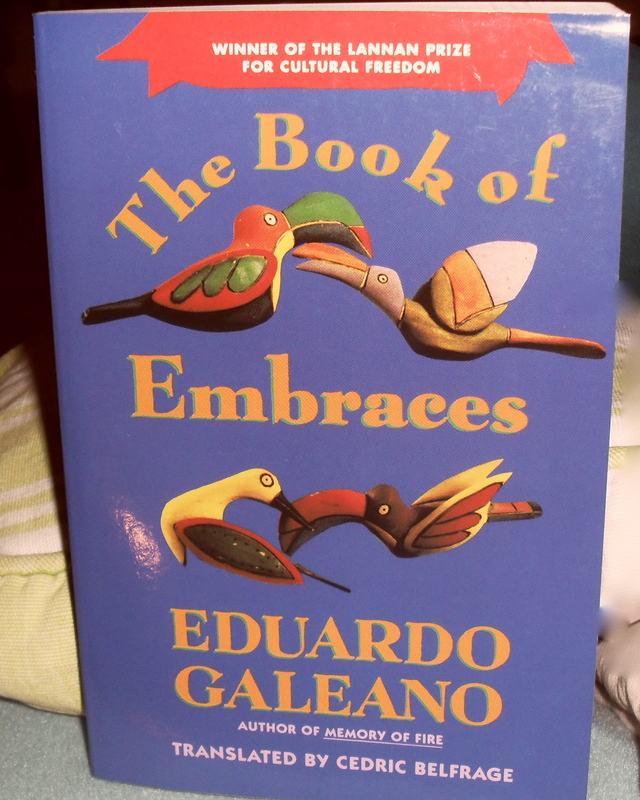 I have just bought probably my fifth copy of this wonderful book by Eduardo Galeano (translated by Cedric Belfrage). The other copies I could not resist giving away to friends and family. It is that sort of book, you want everyone you love to read and be similarly mesmerised and enriched by it. ‘A part of me died with him. The Book of Embraces is largely comprised of short pieces and vignettes that embrace personal stories, parables, politics, dreams, and above all a wonderment on life and on being human. Few words say much with Galeano’s pen. ‘Politicians speak but say nothing. Voters vote but don’t elect. ‘Money is freer than people are.